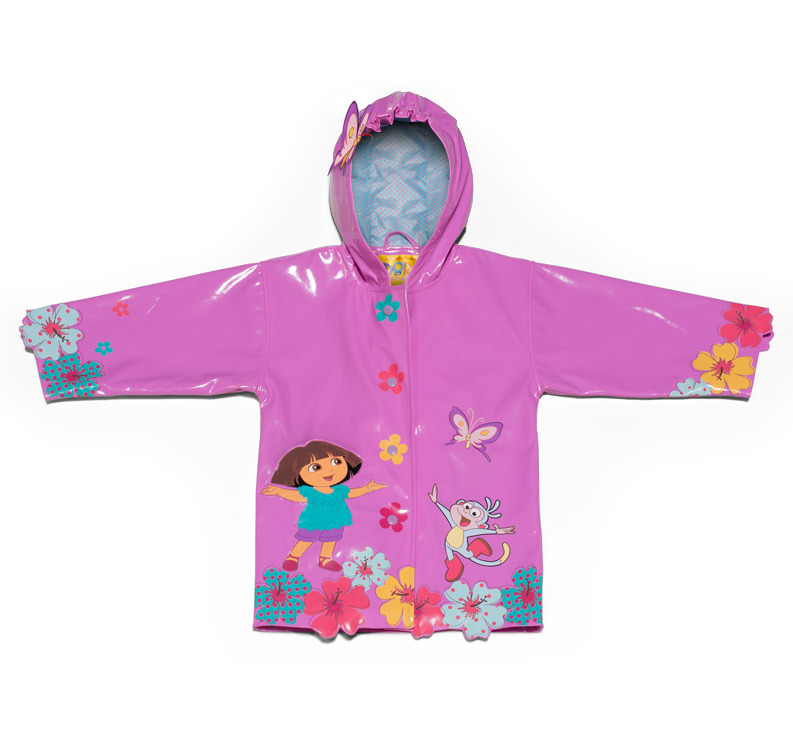 Help a little girl you love pretend she's her favorite character in our Dora the Explorer Raincoat–No rain required. 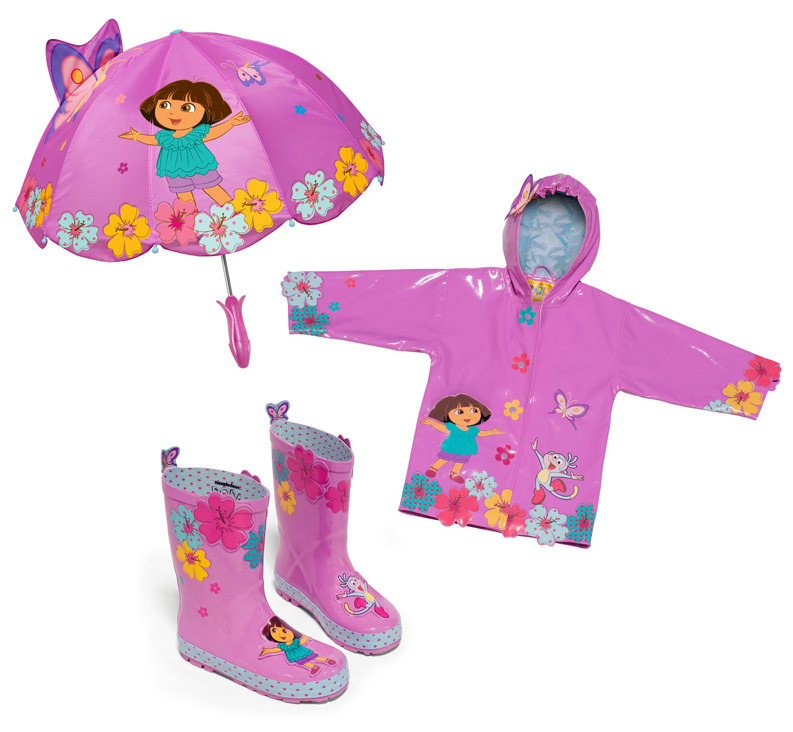 There's no excuse not to be cute just because it's raining. 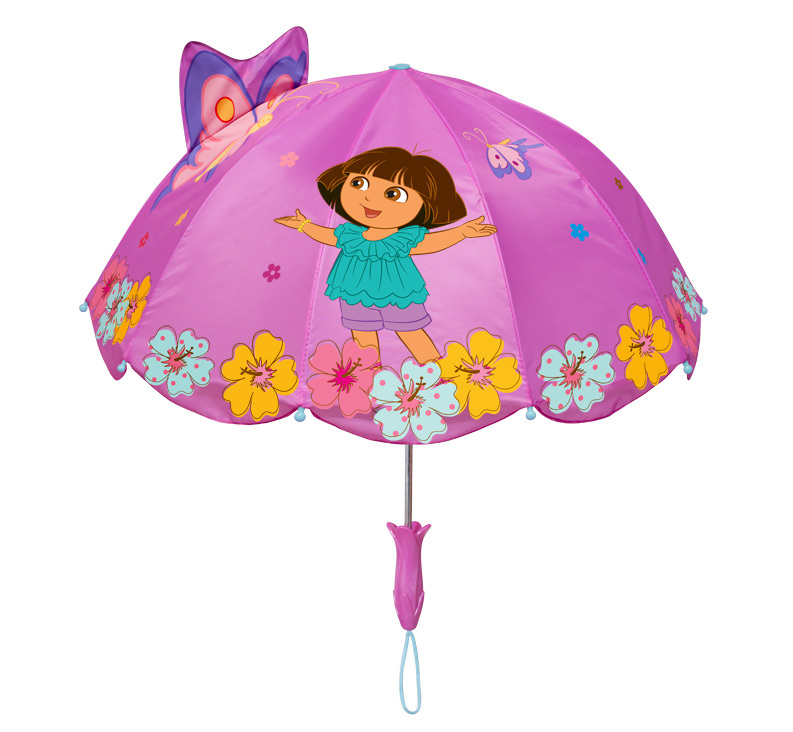 Help a little girl you love pretend she's her favorite character in our Dora Umbrella. 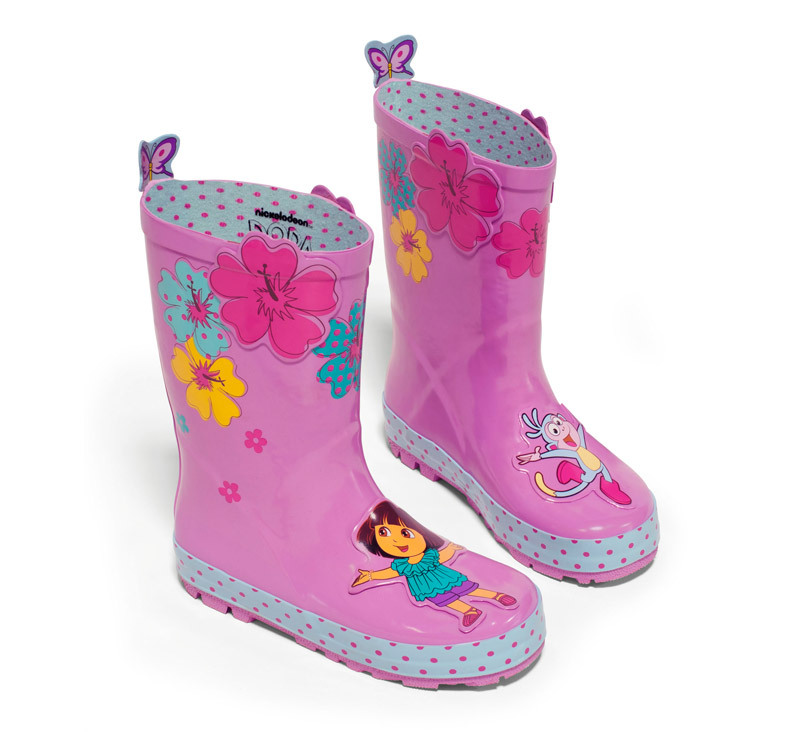 Help a little girl you love pretend she's her favorite character in our Dora the Explorer Rain Boots. Packed with details for big imaginations. 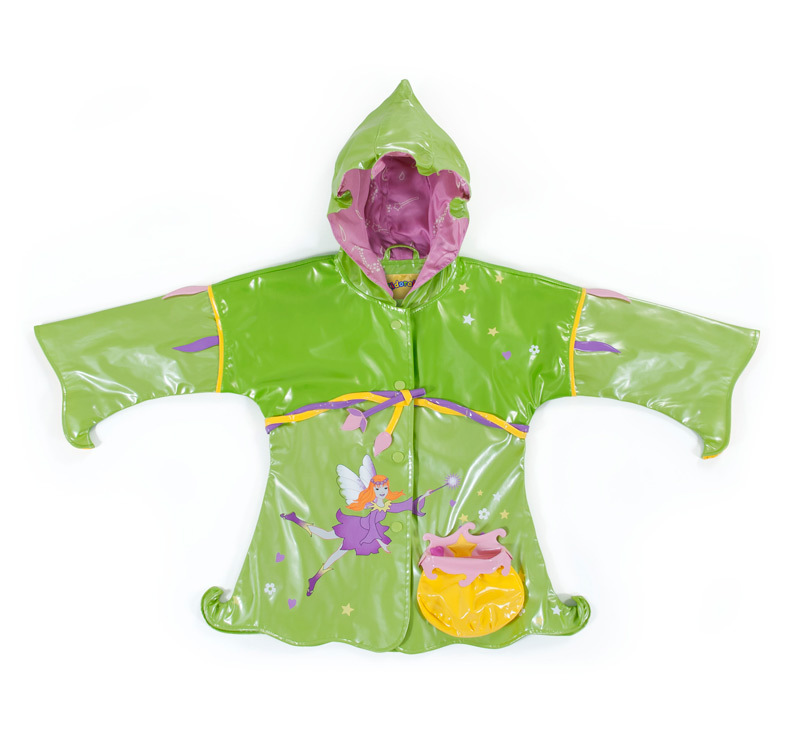 Enchant your child with dreams of make believe in our Fairy Coat, packed with details that excite her imagination. 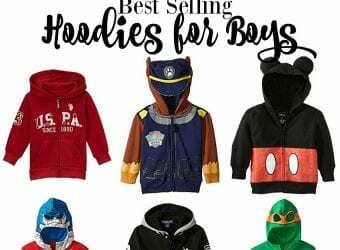 Comes with a FREE matching hanger. 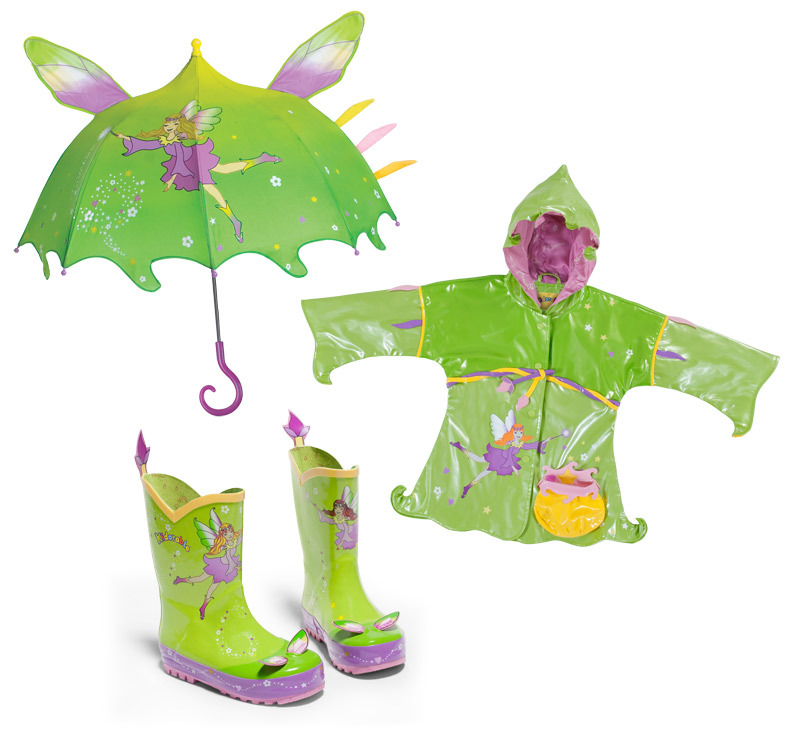 There's no excuse not to be cute just because it's raining. 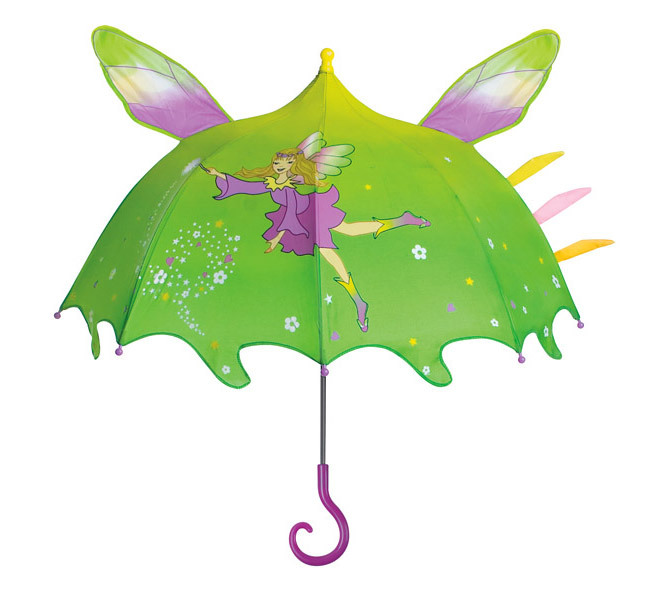 Our Fairy Umbrella is sure to enchant your child with dreams of make believe. 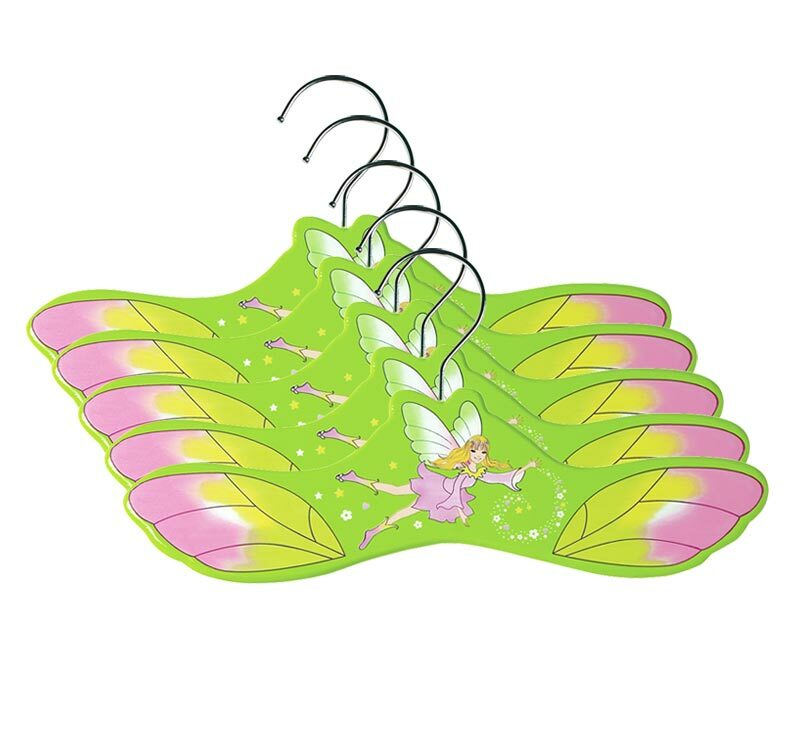 Personalize your child's closet with enchanting hand-painted, hand-carved Fairy Hangers from Kidorable. 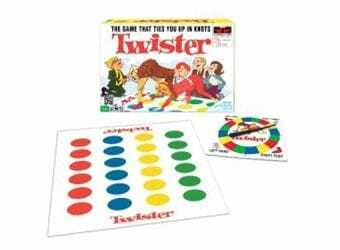 Magic dust not included. 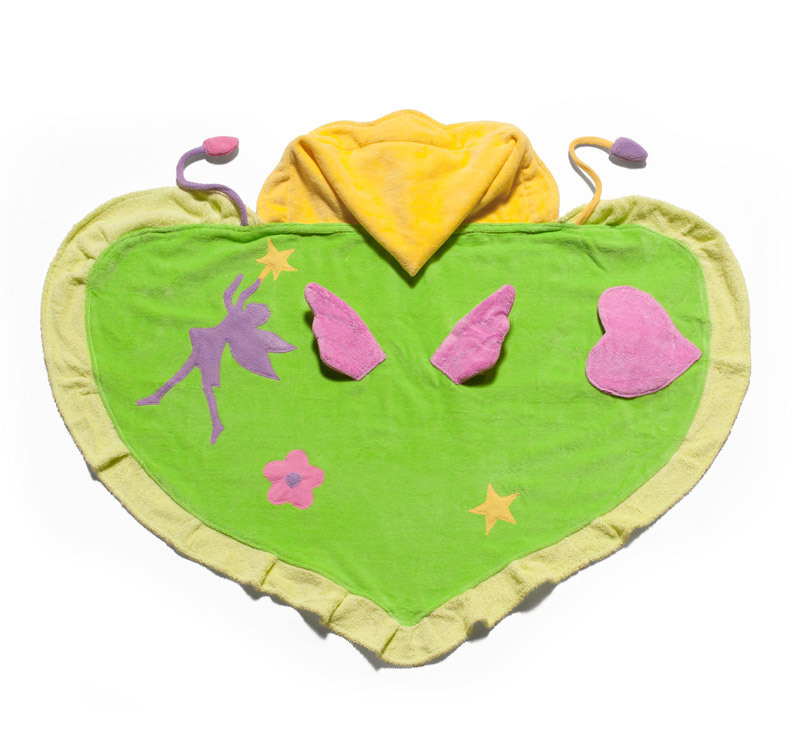 Our absorbent, soft cotton Fairy Towels make lounging by the pool and beach, or drying off after a bath full of laughs, play and make believe. « Previous PostHow do you get kids to eat veggies?